Krav Maga is an intuitive hand-to-hand Israeli combative system developed by Imi Lichtenfeld, an Israeli martial artist. Krav Maga is derived from street fighting skills that applies practical and detailed techniques to prevent all types of violence that is now available to civilians. This specific type of system focuses on the three P’s prevention, protection, and preservation. As of today, units within the Israeli Defense Force (IDF), the New York Police Department (NYPD), Federal Bureau Investigation (FBI), and the US Armed Forces use Krava Maga to their advantage. Krav Maga is a non-traditional fighting system that offers reality-based techniques. This fighting system is based on honing your natural instinctive reflexes to combat common threats. Krav Maga practitioners learn how to use all of their extremities as weapons, as well as developing the awareness of where they are at all times and what’s at hand around them that can be utilized as a weapon for their defenseThis system is designed to teach students to protect themselves against armed and unarmed attackers. Students will learn various aggressive attacks such as punches, kicks, grabs, headlocks and many more to thwart single and multiple attackers.There are no rules when it comes to defending oneself on the street or wherever one happens to be when one’s life is threatened; Krav Maga changes one’s mindset and boost one’s confidence, so that we become physically and psychologically more effective for survival. 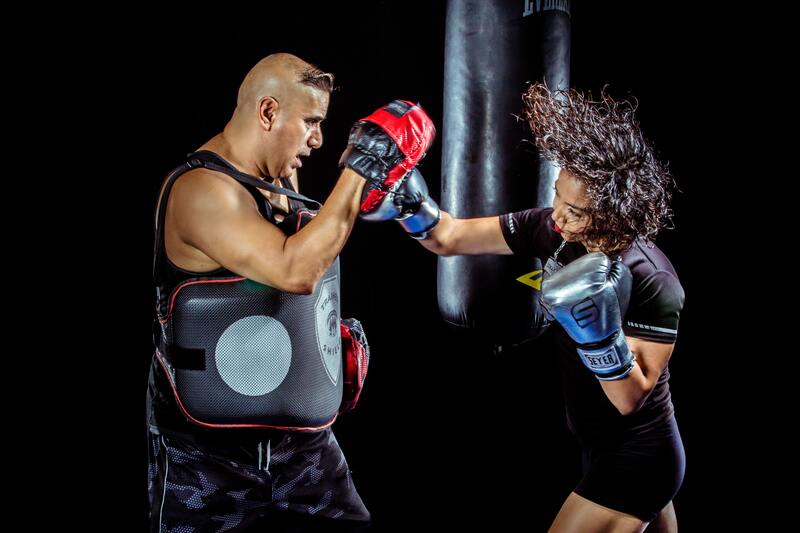 Unlike other fighting styles, through Krav Maga you can expect real-life scenarios, practical techniques, and skills to protect yourself and those around you.